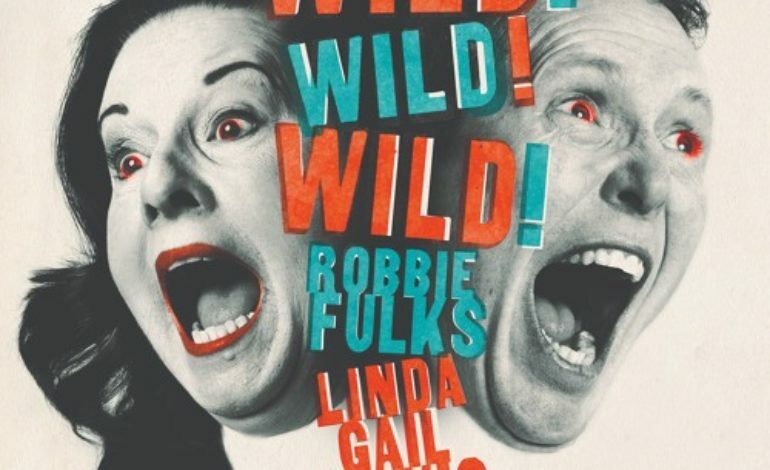 On Robbie Fulks’ new collaborative album with Linda Gail Lewis, we witness a truly WILD pairing come to life. Linda Gail Lewis grew up as the little sister to the rock & roll legend Jerry Lee Lewis, and although she’s a vocal and musical powerhouse on her own, she’s made a significant portion of her career by performing alongside other shining stars. In 2000, she came out with possibly her most successful project ever with Van Morrison, You Win Again, and now she’s back in the collaboration game with the ever soulful and uplifting alt-country genius, Robbie Fulks. Neither artist plays second fiddle to the other in this boogie-woogie collab that begins and ends with energy. As we make our way through the album, it becomes obvious that Fulks is writing it (almost) entirely from the feisty perspective of Lewis. As soon as that lively piano tips off the record in “Round Too Long,” the listener is thrown into a world where Lewis calls the shots and Fulks is backing her up every step of the way. Lewis stands up for herself with lyrics like, “This ain’t an old-folks reunion, this ain’t a Johnny Cash song / You can’t make me walk no line when I’ve been ’round too long.” We then get a taste of the Robbie Fulks we all know in, “I Just Lived A Country Song,” where he delivers his all-too-familiar themes of loneliness at the end of success in the entertainment industry. This song is real, raw and still incredibly catchy and beautiful. The album continues to shine with arguably some of the strongest tunes of 2018 including the absolute banger of a title track “Wild! Wild! Wild!” and the soulful “Foolmaker” that discusses the art of playing someone into love and the aftermath that comes with it. “Boogie Woogie Country Gal” is possibly the most infectious track on the album, playing around with Lewis’ stellar piano skills and begging any listener to grab their love and two-step on that dance floor. This collaborative album by Fulks and Linda Lewis is honestly just so damn good. On one end of the collaboration, we have Lewis stepping out as the fierce artist she truly is, claiming a name for herself outside of her brother’s shadow. All the while, Robbie Fulks reinstills trust in his forever fans that he is more in touch than ever with country music and the world around him.